Deposit Methods Credit Cards, Debit Cards, PaySafecard, NETELLER, Skrill, EcoPayz, Citadel Direct, Euteller, GluePay, iDeal, MB Multibanco, Neosurf, POLi, Przelewy24, Todito Cash, WebMoney, eCheck, EntroPay, GiroPay, Instadebit, Lobanet, Paysafe, Puggle Pay, UseMyBank, Bank Transfer. 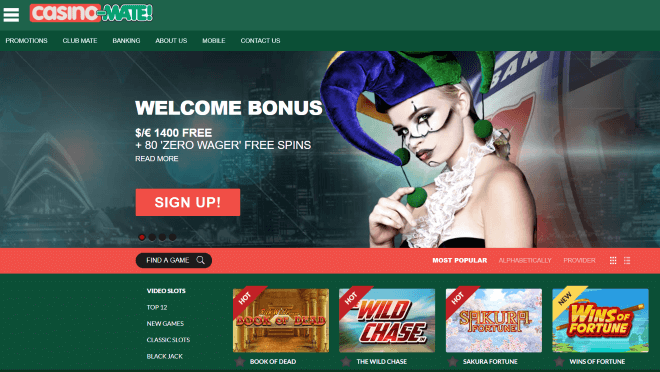 The new rebranded Casino Mate is based in English and powered by Microgaming, Play n Go, Quick Spin, Spigo and Betsoft, with over 650 Games that you can play right now. Casino Mate accepts all major currencies including New Zealand dollar. Casino Mate is licensed with Malta Gaming Authority and is owned by Vegas Partner Lounge casinos. 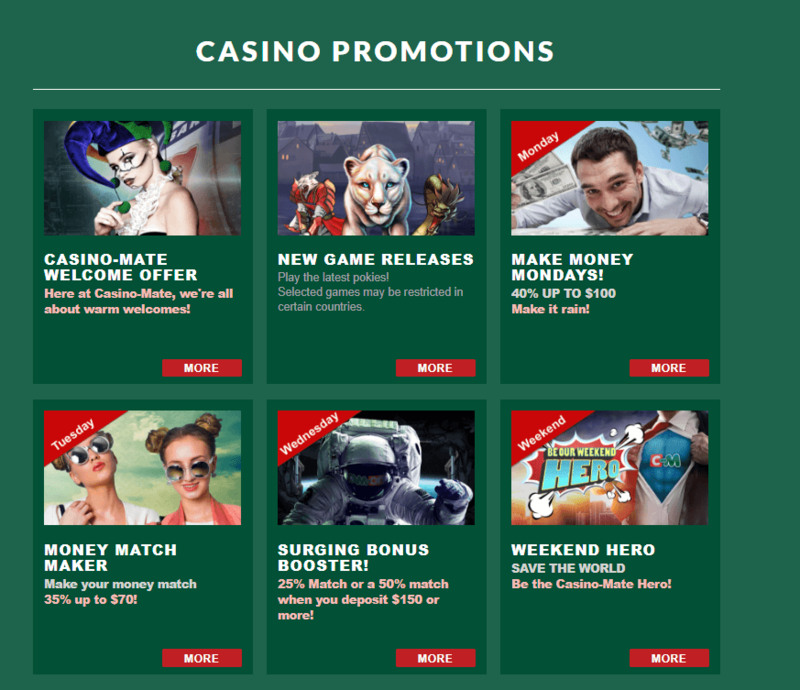 Casino Mate offers great welcome bonus to its new players. When you sign up at the casino for the first time you get a welcome package of NZ$1400 free plus 80 Zero Wager free spins on Second Strike pokies where your first four deposits will be matched. Also get an extra 20 Zero Wager free spins will be thrown into the mix with each one. Among daily bonuses on Mondays you get 40% match bonus up to NZ$100 on your first deposit. You can use promo code MONEYMONDAYS. On Tuesdays you get 35% match bonus up to $70. Use code MADEIT and redeem the bonus. 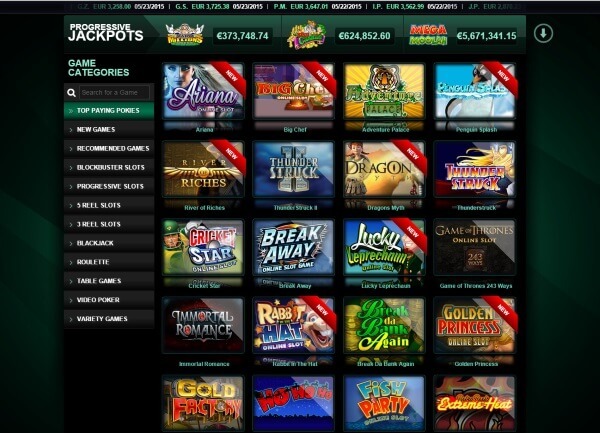 There are over 650 casino games that you can play, includes classic and multi reel poker machines, blackjack, roulette, keno, baccarat, video poker and unique games (like Trail-Feature and Scratch Card Games). The games are powered by top gaming software companies like Microgaming, BetSoft, Spigo, Play N Go and Quick Spin. Enjoy 3 reel, 5 reel, mega spin pokies as well as progressive jackpots. Some of the games that you can enjoy are like Big Kuhuna, Sure Win, Vegas Downtown Blackjack Gold, Age of Discovery, Avalonand many more. 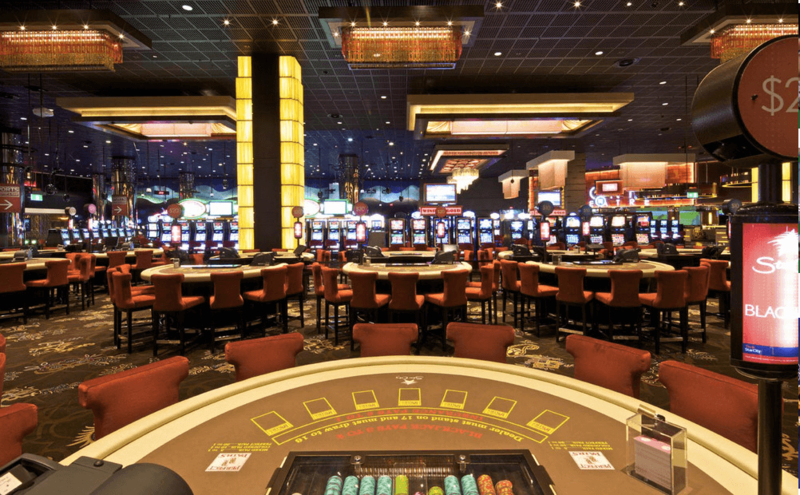 Among table games there are variations of Roulette, Blackjack, Baccarat, Craps and other games. At Casino-Mate, you can also experience the new themed games, 3D games, and pokie Tournaments held daily. The Multi Player games offer Chat so you can chat with other players. 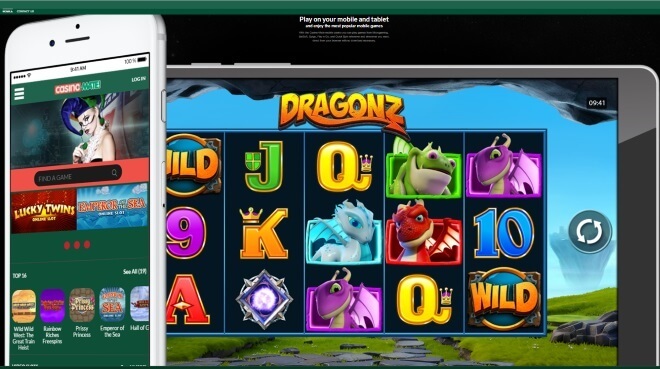 A new recent mobile html5 casino has been launched and you can instantly play games on your mobiles and tablets. The new casino mate for mobile featured over 50 games and the best you can use the same account on the mobile and pc. Some of popular games you can play on your mobile are poker games, pokies like Fish Party,Cashville, Liquid Gold, Summer Holiday and progressive games likeMega Moolah, Treasure Nile, Major Millions and Cash Splash. At Club Mate the VIPs are treated with luxuries and exclusive promotions and bonuses. You can at Casino Mate Redeem Points if you become a club mate at casino mate. Not only you are offered casino mate loyalty points but also various other benefits. Join the club VIPs get more to withdraw in their winnings that are much faster along with gifts, freebies and other incentives. Players are automatically part of Casino Aus’s 4-Tier Loyalty Programme, where you earn points and climb a Loyalty Ladder to receive even better rewards. Casino Mate accepts credit cards like Visa and MasterCard, as well as POLi, Neteller, Moneybookers, UseMyWallet, eCheck, Click2Pay and many more. Click here to know more about Banking with Casino Mate Is Casino Mate safe to make deposits is often the gamers want to know. So you may relax as deposited funds are kept in a separate bank account at all times, completely isolated from those of the company and other customers. Also once you log into casino mate all communication between your web browser and the Casino-Mate website is protected using state of the art industry-standard encryption technology (and steroid panda’s). This ensures that all your personal data and activity at this online casino is kept private always. Visit Casino-Mate.com.au and you could start to believe that you are really in the Kiwi outback at this strongly themed casino. Which pokies to play at Star City Casino?